I usually enjoy adapting recipes to be a little healthier and that often means employing my oven or air fryer instead of the deep fryer. 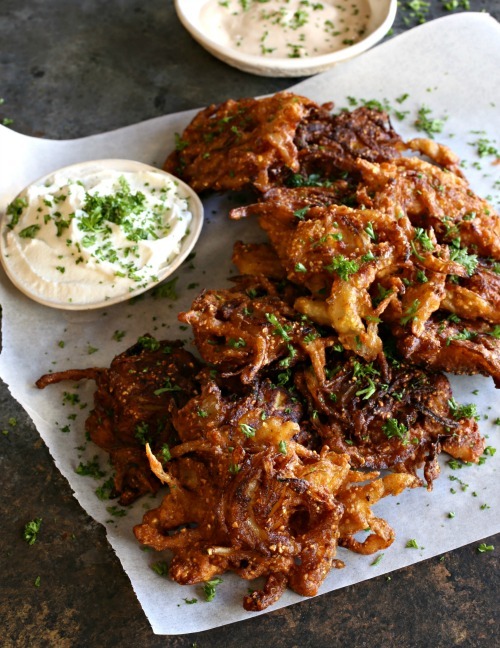 But, sometimes there's just no really good substitute for the original, like a crispy onion fritter. And, let's face it, sometimes we need a good, crispy onion fritter. 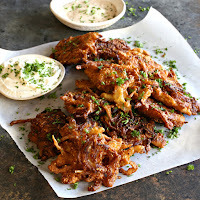 I've tested this recipe and a few variations of it in both the oven and the air fryer and both were fine. But only fine. Not 'wow, that's delicious' fine. 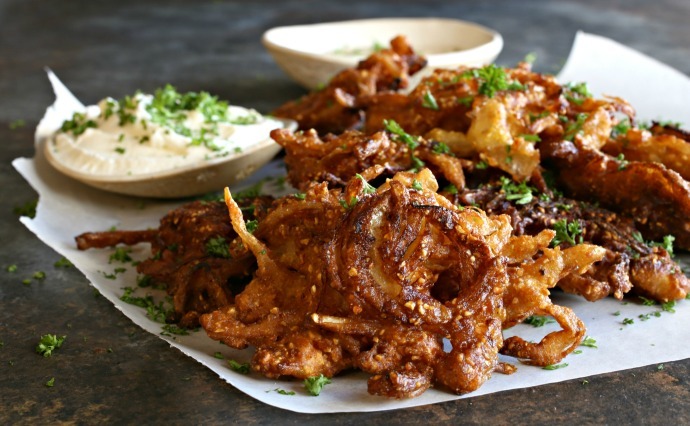 And I wanted wow onion fritters. These are amazing as party appetizers, game day snacks, award show watching snacks or even snow day snacks although I've decided that it's not allowed to snow any more this year. I liked the bit of texture that I got from adding cornmeal but you can use all flour as well. 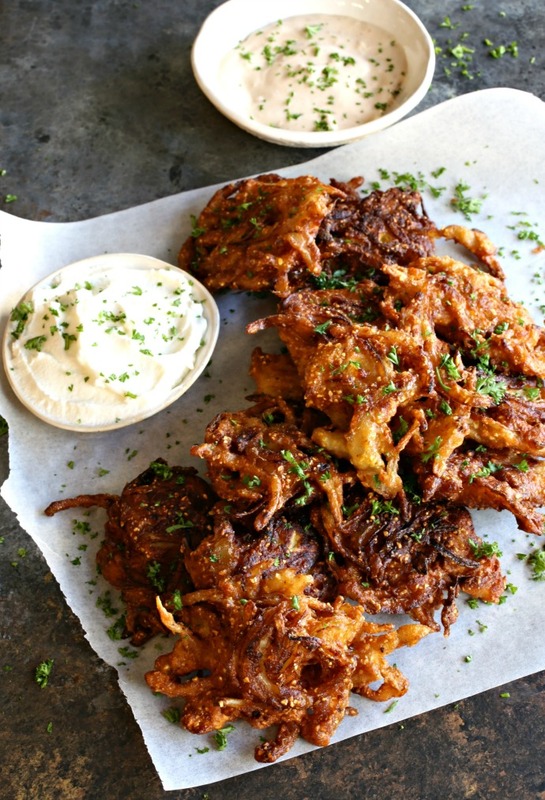 The secret ingredient that gives these a wow flavor is the Worstershire sauce. 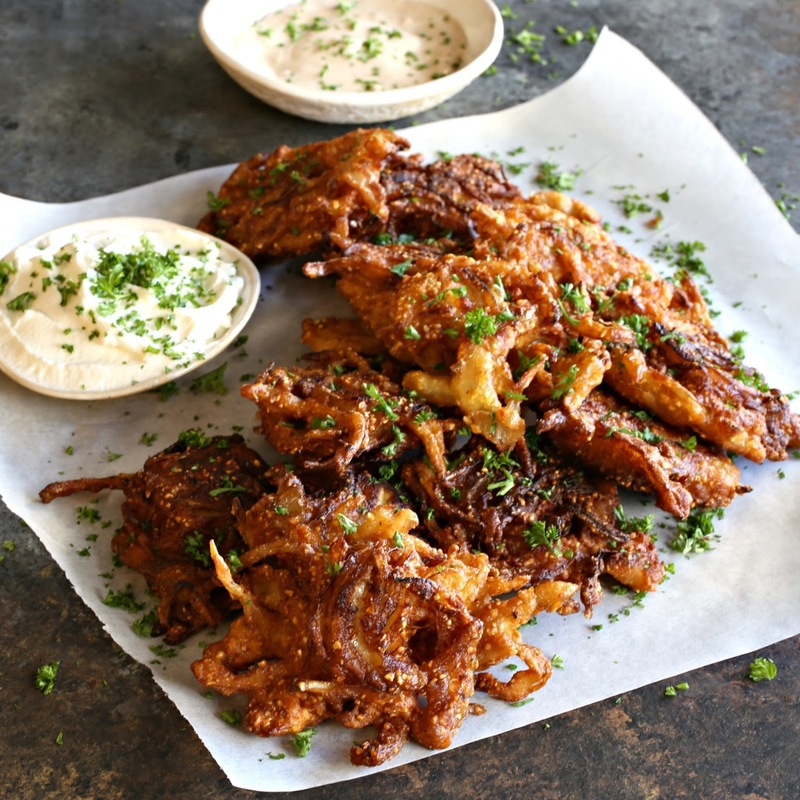 Just a little bit of extra wow because if we're already going to deep fry onion fritters, they'd better be fully wow, right? Enjoy! In a large bowl, whisk together the egg, milk, flour, cornmeal, baking powder, salt, pepper and Worcestershire sauce. Peel and thinly slice the onion. Toss it in with the batter. Fill a pot or deep skillet with about 3" of oil and heat to 350 degrees. Gently drop large spoonfuls of batter into the hot oil, cook for approximately 3 minutes, flip and cook for an additional 3 minutes. Scoop out with a slotted spoon or spider and place on a paper towel lined plate to drain. Sprinkle with chopped fresh parsley or chives, if desired, and serve with your favorite dipping sauces. Those looks delicious - but I am curious as to why you turn the oven on? Thanks, Karen! Not sure what you mean, though. The instructions don't include turning the oven on.